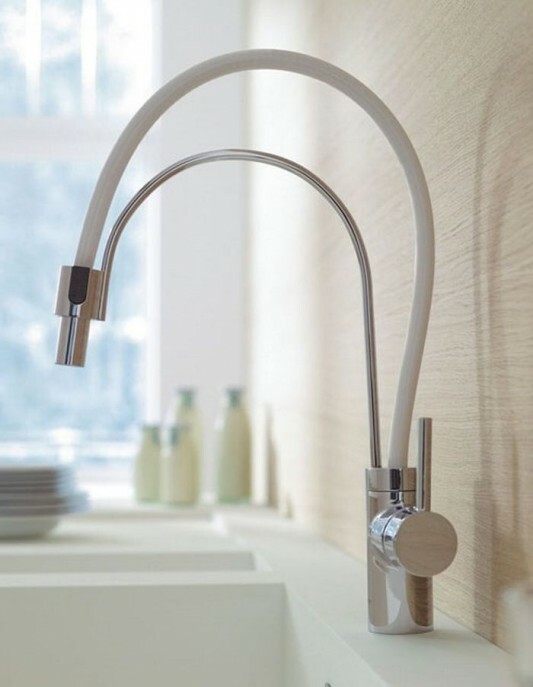 Kitchen faucet brings an innovative modern design, marked with a double bend design, describes the water that flows naturally. 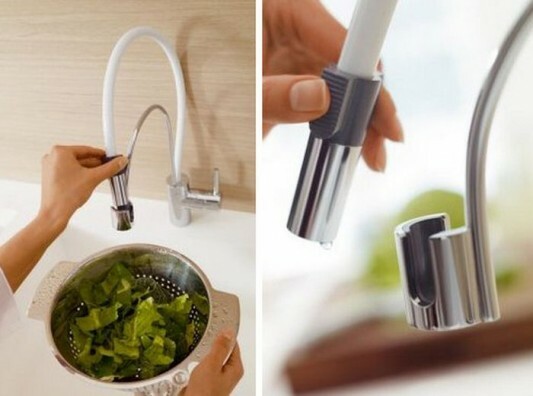 Modern Faucet has a unique design with two bearings, and one of them is used to drain the water, because it also provides flexibility with easy and practical to be directed all directions as needed. It’s a faucet design is perfect and stylish, the use of adjustable radius and provide a position full of comfort. 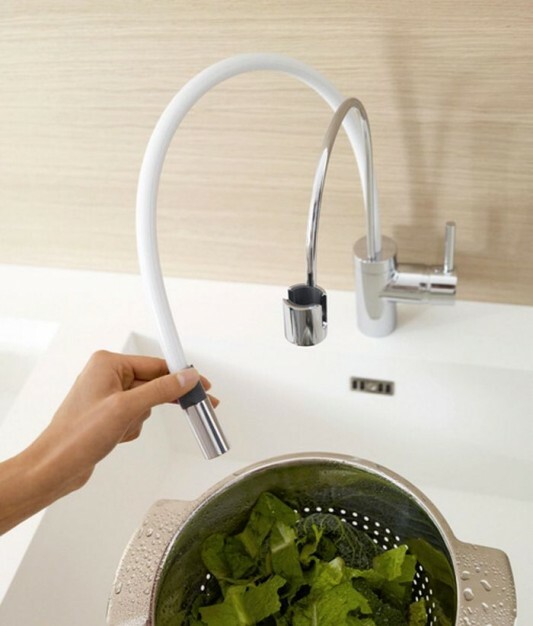 This kitchen accessory is ideal for a kitchen faucet in the main or second tap units of the island. My Style has an innovative design, characterized by a double bend bearing water symbolizing the natural flow of water. Striking an individual. Very different. My Style comes premises Eco aerator features that can reduce water consumption about 40%, and anti-limescale functions, it’s a tremendous savings. Tap water is also equipped with hot water limiter, which provides security used by children. Beautiful and innovative products are manufactured by the brand Esprit is connected with the German manufacturer Kludi. As for other features that provide safety and comfort, among others: the optimal high-dimensional allows containers to be filled as well as installation in a small kitchen, Internal, scale-resistant aerator to form a clear design, Smooth-motion control unit with premium ceramic disk, Easy- to-clean surface. With beautiful design and the decorative and durable, it’s a good meal into a beautiful faucet of your choice. Visit the Esprit by Kludi for more details.